PORTLAND, Maine — Lobster prices in North America recently reached their highest point in more than 10 years and could become the typical bottom line as demand for processed lobster meat grows. Retail prices have remained high into September, with consumers typically paying $9 to $11 per pound for a live lobster — a few dollars more than a year ago at this time. 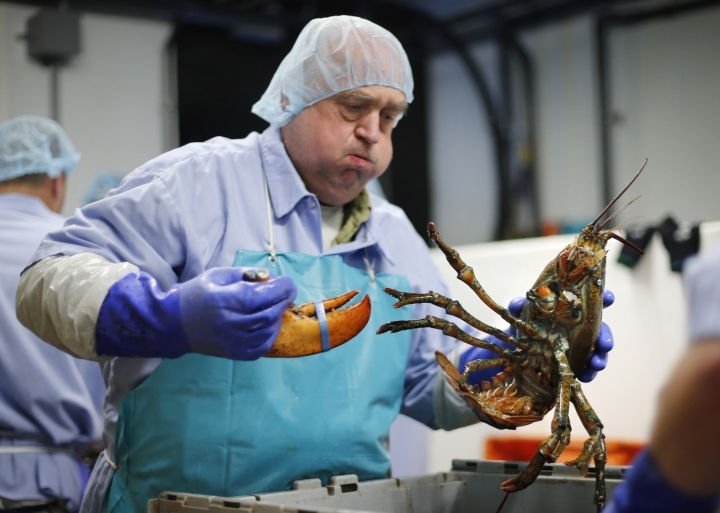 The high prices are a product of several factors, including the ebb and flow of lobstermen's catch and the demand from Asian countries that are developing a taste for the New England treat. But one factor — the growing demand for processed lobster products such as lobster rolls and lobster macaroni and cheese — could keep the price high in the future, said market analyst John Sackton, who publishes a website called SeafoodNews.com. The growing interest in the products has spurred demand in parts of the country where lobster is less common in restaurants than it is in New England, he said. "Lobster trucks are starting up in Los Angeles and places like that," Sackton said. "I think, long term, there's going to be more of a shift where consumption of lobster is going to be predicated on processed products and less on live products." The growth of the lobster processing industry in Maine, whose fishermen produce the country's largest catches, has helped enable the shift toward processed lobster products. Maine's industry was barely existent at all 25 years ago and now includes 15 firms that process millions of pounds of meat every year. Canada also has a significant lobster fishery and its processing industry is much larger. This year, the typical autumn lobster price dip that happens after tourists flee New England's summer resort towns is still likely but could be less severe, Sackton said. "The processors, they can't work unless we get a higher volume," Todd said.